Nintendo can work in mysterious ways at times, especially when it comes to online modes. Some will feel that the company doesn't actually deliver enough online gaming — with many titles committed to local multiplayer only — while we have others serving up regional online play. The latter isn't a cast-iron policy of Nintendo's, which makes its inclusion in some cases baffling and, in truth, counter-intuitive. 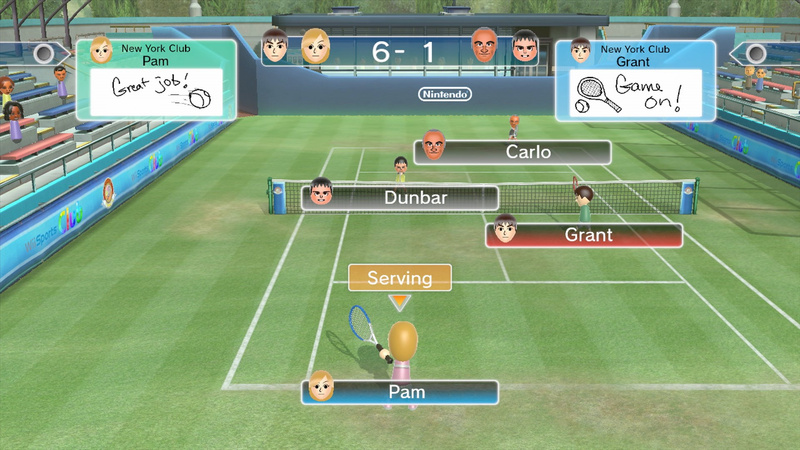 Wii Sports Club, in its Tennis and Bowling forms at this stage, appears to limit players to taking on those within their console's region. The Wii U — like the 3DS — is, of course, region locked, and this appears to be a case where Nintendo's simply applied the hardware's limitations into the online mode. When choosing a Club to join in the UK, for example, there are a variety of regions in different nations, while some areas are simply broken down by country. Not all countries in Europe are accommodated, with the typically impersonal "Other" in place for those in countries such as Russia. We say it's regional, but it's really all about the PAL region so, perhaps ironically, a European gamer can take on challengers from Australia, but not the United States or North America as a whole. That fact alone demonstrates — not that it was really in doubt — that the decision to restrict the online to hardware regions was either strategic or to control resources, not due to any technical problems or issues of lag playing against gamers from the other side of the world. Glancing at a globe should make it obvious to anyone that someone in Europe taking on a player in Australia is involved in a match thousands of miles apart; if distance is the consideration, there should be no more lag or connection issues in that match than one with a gamer based in North America or Japan. So we have it as a deliberate choice by Nintendo, and it seems an odd one. Some of the most enjoyable online experiences on Nintendo systems have had worldwide online games as par for the course, and have also had well-rounded and competent features. Mario Kart 7 is a shining example of how a fully fleshed-out online game can take a Nintendo franchise to new levels. The communities and region-free gaming in that title mean that many still probably play it to this day, and it even allows groups of like-minded people to organise sessions with each other — we've hosted our own community race nights here at Nintendo Life, and will do so again! Monster Hunter 3 Ultimate on Wii U, a terrific Capcom title, also demonstrates how worldwide online play can enrich an experience — though Japan isn't included in that example. Of course, it was set to be region-locked initially, but such was the uproar from enthusiastic hunters — or perhaps it was a natural delay dressed up as a response to fans — that an update was issued after release to open up the servers to bring together North America and PAL regions. When you combine this with intuitive text messaging on the GamePad, microphone support for voice-chat and simple, easy to access lobbies, you have a terrific setup that attracts a loyal base of gamers. Let's not forget the strong online offering in Pokémon X & Y with global matches and trades, along with constant updates and messages appearing on the lower screen throughout the experience. There are numerous advantages to worldwide online modes, of course. For one thing it gives you a better chance of finding others to play with; in the case of Mario Kart 7 and Monster Hunter 3 Ultimate it's still possible to get into a race or hunt relatively quickly. It's also rather fun to play with others from around the world, especially with the pre-race globe graphic in Mario Kart 7 often showing gamers from nations like Japan, Mexico and a variety of others in a typical race. It's also ideal for those with irregular sleeping patterns, as jumping onto Monster Hunter 3 Ultimate at midnight in Europe will still hook you up with early evening gamers in regions such as North America. On the flipside we have Mario Tennis Open on the 3DS, which was locked down to regions in online play. This had the disadvantage of not utilising multiple time-zones, of course, but also split up an already modest online base of players further, meaning that after an initial burst of enthusiasm games against varied opponents became hard to come by. If you found yourself playing against someone with a laggy connection and an irritatingly high level of skill with Boo, you'd probably play them again, and then again, and maybe again, as the system looped you around due to the lack of sufficient numbers. Considering it was a title without the clout and userbase of Mario Kart 7, the decision to break online play into regions was odd. Of course, what Mario Tennis Open included was leaderboards, and generosity means we should acknowledge that managing those leaderboards and rankings may have made sense in a regional sense — MK7 gives each player a ranking, but comparing them to others isn't truly accommodating. In truth that's a flimsy defence, however, as there are download-only games with worldwide leaderboards; it's indicative of a truly safe approach, perhaps tied to saving on costs and development resources. So what's the deal with Wii Sports Club and its regional club-based system? There are some theories in Nintendo Life HQ regarding this decision — one is that outlined above, that it's a simpler, lower maintenance option to break up the online play to regions, tying into the eShop and hardware region-locking. Another could be a link to the Miiverse integration; the network itself and its communities are split up into "Europe and Oceania", "Japan" and "America", tying in (again) with the region locking policy. The social aspect of these titles allows "pep talk" comments, or sledges/teases in theory, to be pre-set and flashed up during a match. In order to avoid any issues of inappropriate messages — which is sensible in light of recent events with Swapnote — these are Miiverse posts that go through a moderation process before being available. If these messages are filtered to regional Miiverse teams, it's another element that suits a local rather than worldwide approach. Of course, this can probably be accused of being apologetic rationalisation, finding reasons for this setup without any sense of a meaningful and defensible justification. We'd be inclined to agree, too. While we're presenting pros and cons and explaining different sides, it's safe to say that region-restricted online play seems oddly out of place. We'd assume that Mario Kart 8, for example, will follow its 3DS predecessor — as a minimum — in online multiplayer functionality. With so many gamers active online and part of worldwide communities such as that here on Nintendo Life and social networks, the idea that a new release in 2013 throws up regional road-blocks in online play is unfortunate and unexpected. We're doubtful that a future update to Wii Sports Club will open up worldwide play and communities that can play each other regardless of continent, but we'll leave room for a little optimism. Let's just hope that, with online modes in the likes of Mario Kart 8 and Super Smash Bros., such restrictions will be nowhere to be found. I love my Wii U and I love Nintendo's games. But if they don't get it together soon then I'm scared for their future. Interesting... Playing it safe I suppose. Good ol' Nintendo. I love them for it. Tennis is especially laggy. I played someone, supposedly from my own region and was cheated out of several points. I shudder to think how bad it would be (if distance is even an issue, of course) were I to be matched up with someone in Australia. But the facts prove that Nintendo are purposefully segregating the Wii Sports Club online community when we could all be playing together. It was something I personally noticed - "Why aren't I coming up against people outside of PALland?" There's always weird stuff going on w/ Nintendo that seems to defy logic. Why only 2 sports, not all 5? Yes, it takes time to make them, but Wii Sports was huge, the Wii U has been in development for years, Wii Sports has simple graphics, if not all 5 ready at launch at least by now. This is in't exactly Final Fantasy. Why does Wii Fit U have balance board support but not Mario and Sonic at the winter Olympics? Some of them are almost exactly the same activity - like skiing. And the Wii Oympic game had the same sports w/ balance board support. And why does the olympic game have online for only 4 sports, not all or most of them? I know there are explanations for most of these, but they sound more like excuses. It really just seems like Nintendo isn't all that good at making games. Great and ideas and story and even graphics when they want to, but I'm talking about making modern HD online multiplayer games accros the board. I think they simply lack the ability. Well.... not getting this game now. i thought you could play with people on your friendslist as well? Motion controls are a disaster! It looks like the Wii, horrible graphics, it was supposed to be in 1080p! And do you want money for it, ma bravo Nintendo! This had to be free! What the heck??? The international online competition is what make this game worth $9.99. I though this game was in development so long because they were adding a robust online system. Come on Nintendo, get your act together, next-gen start in two week and your online system is two generation old. Perhaps Nintendo is keeping this title digital for now to keep it a work in progress that can continue to be improved upon. I love games with global online matches for the reasons listed in this article. I like having Japan region available when I'm up late at night. Nintendo are so far behind the times it's becoming a joke! I've bought every nintendo console on day one since the mid 90s. But wii u will be my last unless Nintendo change. Bunch of whiners about online. LAME!!! I'll still be getting this game though. I'm confused is it just you can play with people out of your region or is it that you cannot play online at all unless you own the eu version? @rjejr is sega that have to make that game compatible with the balance board. @zeldagaymer93 this is my first time, and is a real one. the is no sing petition? who can we solve this? Take it to MiiVerse if we make enough noise about it maybe Nintendo will correct this injustice. Wii Sports Club is a shame for Nintendo, disaster control! @RPG_KING You should be able to play online in all versions it's just that you can't play with people around the globe. Say you have the US version. You can play with people in the US however you cannot play with people over in Europe. Weird because I'm in Australia and couldn't find a game and thought the game must be searching in my country only! so, lets all make the same message in sport channel at miiverse, like @jpfan1989 says. not like spam (not the same message one after another). but can be one after another user post. Wait wait wait, so your telling me that I can only play against people in the US (perhaps millions)? The thousands of people in the USA? Why Nintendo why must you punish me with only allowing me to play against all these thousands of people. Holy cow this article is terrible, sounds like someone crying over something that doesn't really matter. How many people do we actually have to be able to play against to be satisfied? Is everyone here a loser who all they do is play games 24/7 and they need a million people to play against. Region-locking online play is oxymoronic. All this locking down of everything is starting to get annoying... it's making me not want to bother purchasing anything that's region locked ever again. I'd rather not support the practice. One of the joys of owning the original DS was being able to import Japanese games, and the Wii was easily soft-moddable to work around the region lock (so I imported SSB:Brawl from the US). This is...odd...but as a player in North America, and all my friends who I'd play this with live here, this isn't that big a deal to me. However, I can see how this can frustrate you all over there in EU. It's just too bad things like this have to be petitioned for. What is going on at Nintendo? No marketing for their newest home console, severe lack of online infrastructure for their own games (always use the "local multiplayer is superior" copout), and a virtual console service that is, quite frankly, an embarrassment to this poor machine. It's like they don't seem to care anymore - aside from the brilliant software they tend to pop out every once in a while anyways. Seeing Wii Sports Club Online mode as Regional only does not surprise me. For all we know, when or during the time they release the rest of the Wii Sport Club games, they may add an update to where the online mode is International, sorta like they did with Monster Hunter 3 Ultimate (even if it's not international, NA and PAL regions playing together is nice. ^^). @jjmesa16 oh, no more complaints then. May still get this then, just $10! i will get the game to day, i will buy the game, and i will play, but... they don't need to do this. This really seems like a non-issue. Why does it matter that much? @X-Factor I have many complaints about Nintendo these days but I'm not sure I want to type an essay about them. Btw I like how Nintendo has set up a World Club community in Miiverse even though there is no global online play. I seriously hope that this is only because of the unfinished nature of the product.. and not here to stay. Region locking is a cancer that needs to be excised. This is all. The point of the whole "Club" system is to incentivize players to root for/against the regions near you. So, Massachusetts and New York can have a rivalry, so can Michigan and Ohio, etc. But if you throw in England and Italy and Japan and others (each of which have their own smaller regions in-game, I imagine), that muddies the waters. A separate World Play mode could work — and I bet that's in the offereing down the road — but for now I get why they'd do this. And the sub-headline is horribly misleading... sounds like Local, i.e., in the same room, multiplayer is the only option outside of PAL. Anyway, I'm excited to take on all New Englanders soon. The mustache awaits. Wow, tough crowd. I've only been playing Tennis for about an hour, and I'm impressed how well the game plays online. I had no problem finding games and it only lagged a couple times. The graphics are an improvement and everything they need to be for this type of game. The MotionPlus support does add some depth to the game. I spent hundreds of hours playing the original Wii Sports, and will enjoy this too. A bargain at $10. @justinluey I agree with you. I've been playing bowling for an hour and I found the online features to be a lot of fun. I think everyone is blasting the online world play limitations because we are all obsessed with being the king super duper champion of the world or something. It's not an online RPG or shooter folks it's a simple sports game to have fun with. I do find 10 bucks to be a little steep for unlimited play for one sport though. But I guess I just need to save up for it or wait for a deal hehe. @justinluey Heh this. I wish for the improvements of the online play as well but does this mean I'm no longer interested in Sports Club? Heck no. And I've got family members that play this a bunch too, soo yeah. This editorial is a joke, right? I'm happy with any online play and we've got that. Hey Tuurtledove, as a fellow Kiwi going to the UK for Christmas, I was just wondering, have you imported any UK PAL games? If so, do they work fine? As for this Wii Sports Club, I've downloaded and will give it a go. It is clearly a work in progress title that has been released due to the terrible sales to date and small games lineup. We can only hope they will continue to improve it. Im with @Cyberbotv2 on this one. I played some online tennis matches with my girlfriend an hour ago (She as local guest against two online players) and we had SO much fun, local or not. Some folks around here really go the distance to find anything to whine about. And really, whining about missing full fledged online support for Wii Sports ? As if you are going to play this game more than a week or two anyways. Even if it had a worldwide online mode, you would complain about other things. "It's also ideal for those with irregular sleeping patterns" aka me. Damnit Nintendo! This is the kind of stupid stuff that upsets me about Nintendo. Sometimes "the Nintendo way" is just a stupidly annoying way of burning its users. DarkCoolEdge: Sometimes? Make that "most of the time", recently. Every step they take spells death and decay. I wonder if in fact they are selling the modules seperately just to inflate the lineup. Splitting by their arbitrary distribution regions is just plain idiocy. There is not a single aspect under which that makes sense. I would agree that this is not a big deal normally, but I think the real problem with it will be that when interest in it starts to wane even a little it will quickly become impossible to find people to play with and that just looks bad. The problem is their reputation with online titles and their visibility because of the lack of install base so why would you limit the opportunities for matches right out of the gate? If you're a super fan like some of us here it's just fine, but why is it that Nintendo keeps ignoring little things like this that might have brought more people in at a time when they need new people really badly? You're not alone on that one. You can always find online players at 1:00 A.M. even when everybody at home is asleep . This is supposed to be an Nintendo fan site, and this article is just pointless nitpicking. You can play wii sports online now. I think that's pretty cool and its an experience that can't be had on rival consoles. The wii u is doing bad enough without unnecessary articles like this. If you like something, you should be open to critique. Nothing is going to get better without it. The weird part is in Europe you've got single countries and a lot of UK regions (ie; i'm in UK North West). So do you Yanks not get several states in the game? I just figured sports clubs are usually a regional type of thing. Either way I'm happy with what they released, I found plenty of challengers and not too much lag. My controller would wig out a little every now and again but luckily they put easy calibration options so you could fix it on the fly. Yeah don't question anything. Just put up articles saying "hey everyone Nintendo have made something for you to buy. It's great! You should buy it! Everything Nintendo do is great!". "We're doubtful that a future update to Wii Sports Club will open up worldwide play and communities that can play each other regardless of continent"
SUCH A DUMB STATEMENT, YOU WILL NEVER BE ABLE TO PLAY BETWEEN CONTINENTS DUE PING LONDON - NEWYORK 150 ms at the best and thats too much for fast paced game like tennis. Now Nintendolife please write an excuse. @sinanziric Did you actually read the feature? People in Europe can play against people in Australia (both PAL region), and that's a longer distance than London to New York. I was originally going to buy Mario Tennis Open back in May 2012 until I found out it's online was regional, so I skipped it completely. I was actually over the whole region-only thing when Wii Sports Club was announced and wanted it until I saw how it was priced. I'm glad Mario Golf World Tour will allow worldwide so I'll get that when it comes out in 2014. I see a lot of people complaining about lag in here. Most of the time that has to do with your or your opponents internet connections. This happens on all systems and all games. If Microsoft has done one thing right, it was introducing high speed only online gaming with the original Xbox. That's a big step. Let's not blame Wii Sports Club for bad connections. Actually, Australian and Kiwi players are locked to just Australia and New Zealand. @BossBattles @skjia IKR? Don't like it don't play it, stop crying about something you say you're never gonna play? People just need something to boohoo over. Well there goes my hopes of being able too duke it out with people around the world in boxing. You guys are asking WAY to much for FREE online. The lag is probably due to a lot of people having terrible connections, I'm amazed at how many people try to play BLOPS II online and their connections are so bad that they have one red bar showing up..
Also regarding the PAL region, I have a friend in Australia and apparently their internet is pretty slow, they don't have great speeds for some reason.. (I wasn't really listening while he was moaning about it). the point of region locking is to get people to meet outside the game. It's simple, if I plan talk to someone I'd like talk to them about the area as a point of conversation. If it's someone that doesn't even speak the language than that kills it. They're trying to establish a community. i think your're right, i havent see that point. i retract. Many games simply have an option to find games in your region. Like any decent '80s martial arts movie - I'm more comfortable cutting my teeth against other western journeymen than having my donkey handed to me [or my spine broken] by those Oriental phenoms. ^^ my DONKEY!? ^^^ lmao!! at least censor it to "posterior", "rump", or any other remotely inoffensive reference to one's anatomical back side! Priceless. Im in Canada and when joining a club it let me join the worldwide club. Does this not let me play with other people from other countries? I played a game of tennis with someone from the states and it played just fine. Will be picking up both sports, really do think this should be free though. I find it kinda annoying when I get Spanish or Japanese message in my Miiverse since I can't read them. So maybe region lock inst really a bad ideas. Especially if there any conversation between players. Even if these conversation are limited to Miiverse posts. Your post is just one more reason there should be a "Like" button on this site. I just don't get how Nintendo just doesn't get it at this point. How can Wii U hope to compete when Nintendo keeps making really short sighted experience limiting decisions like this! It's sooo frustrating to see this great company make stupid mistakes like this time and time again. So far I must say: Who cares! I enjoyed Tennis AND - to my astonishment - the bowling. I will get them both. Had no legging problems what so ever. I think the whole "CLUB" idea is genius for marketing "mouth propoganda" reasons. Team friend up with new local people and try to destroy ..erm.. win against the others. That kind of crap isn't needed here. Like buttons are usually used to determine a posts priority in terms of how near the top of the page/list it's displayed based on it's popularity, otherwise there's not much point in them, and that just leads to an unbalanced and very manipulative commenting system where early adopters or people who play social games, only saying what everyone wants to hear rather than being able to express their genuine feelings and opinions and having them be heard equally alongside everyone else (less they don't get their precious Like votes), get pushed to the top. Just keep it the way it is I say. Everyone gets their fair say and you get your chance to have your say on their say. Let's not turn a simple fun comments section into just another socially engineered popularity contest for easily led sheep. "Of course, this can probably be accused of being apologetic rationalization, finding reasons for this setup without any sense of a meaningful and defensible justification." I've finally found a great description of what I see the most loyal and stubborn Nintendo fanboys doing so often when it comes to pretty much any of the many bad decisions Nintendo has made over the last couple of generations in so many different ways. Well Wii sports was more popular with the casual players. Hmm. I downloaded Wii Sports Club Bowling as soon as 12pm hit & have been playing it ever since. The majority of my matches have been online. Which I found lag free & downright fun. With that said, for $10 I expected to have WORLD WIDE ONLINE ACCESS!! !Not limited to my home state only. Shame on you Nintendo!! As far as competing with Sony & M$, I don't think Nintendo has anything to worry about. Why? because Nintendo's focus will always be family fun. Which will push them to continue to make memorable games that we can play right now or 15 years later & still find replay value. Not totally depending on Online to enhance your overall experience! Now- if you can -name me 5 titles from the PS one & original Xbox you can go back & play with the same enjoyment as if it were new (Without the online experience for the original Xbox). M$ & Sony's approach to online is: (on a scale of 1 being most important to 100 being least important) ONLINE/ SOCIAL NETWORKING IS 1-25. MULTI MEDIA IS 26 - 85. & GAMING IS 86-100. This is Especially true with M$!! At least Sony does have some Mascot power in Drake, Ratchet Clank, Sly Cooper, Kratos, & Sack Boy. Nintendo has to improve their approach to online while keeping that family friendly moniker. This is going to be interesting seeing how they have ALWAYS been a local play company that now have accept that ONLINE IS NO FAD!! (Why they treat it as such is hilarious indeed!!) The Miiverse is a great start. Now they must capitalize on this. & don't be afraid of what might happen if others get Online to ruin others gameplay experience through obscenity & cheating. Which reminds me. Bring Back SWAP NOTE TO THE 3DS!! Don't take away this cool feature because a couple of losers decided to ruin others experience!! & M$ needs to up their focus to improve the overall gaming experience with more than endless online options, graphics, an over abundance of unnecessary DLC, & over the top multi media. Honestly, they need more mascots other than Master Chief. I actually fell sorry for this generation of gamers because we are seeing a de-evolution of so called game systems that gives you EVERYTHING ELSE FIRST & Gaming last!. Not cool, Nintendo. I want to play with japanese and european gamers, too. Do it on Mario Kart 8 and rest assured i WON'T buy it. Online is everything for those games. I imported an american 3DS. I can play at Mario Kart with my europeans friends online BUT not in local ! I tried some games that won't play in local multiplayer .Ex: Mario Kart, code of Princess, Fire Emblem (not even streetpass), Donkey Kong Return. Luigi's Mansion Worked. At least the amount of US players should be huge, so I should find matches alright. Didn't have much luck with Mario Tennis, though. With my 2 am cravings for matches. @SMW I was given a worldwide option when joining a club. Im in Canada and so far played people in various states in the US and someone from a south american country, forget which one though. Did experience some insanely bad lag in a couple matches. Maybe it is tied to eShop regions for easy management of Daily Passes. I don't care as long as there are decent people to play. The only let-down for me is the lack of an ability to play online with other Miis. Seems insane when Mario Kart was fine with it. Still having enough fun to purchase. I've only had 1 laggy game but a few games ruined by motionplus going off centre for no reason. @Worthy I'm in Canada, and they let us play against clubs in every Canadian province, every American state, Mexico, and I believe all of South America? Also you can challenge the World club, which I assume is people from around the world. Disappointing to be sure. However this doesn't worry me as I had little to no interest in Wii Sports to begin with, what's strange is now I really want to buy Wii Fit U. Sigh, I bet in 2050 when everyone else has hi-tech online for EVERYTHING, Nintendo will still have local multiplayer/regionally segregated online. They're taking the policy of "being different" too far; it doesn't matter if they're different in a bad way, as long as they do everything differently from their competitors. I can not stress enough how stupid Nintendo is. I don't care about the limitations to regions as much as I am bothered with the primitive mode of communication in Wii Sports Club..... Only preselected messages? Really? I understand why they do it, but there has to be a better solution then killing the enjoyment for adults who want play against other adults, talk some smack and/or have a friendly conversation while bowling.... Here's an idea, have the 18 and up crowd verify their age and let them play unrestricted away from the kids and teens. It really kills the fun in having online modes if you can't communicate via voice or even just typing something out on the gamepad while you are waiting for your turn. @Kirk I would agree with your sentiment if Sony or Microsoft figured out how to make interesting gameplay without involving guns... The shooting gameplay mechanism is the laziest crap in the industry. If the other companies can't make compelling gameplay experiences, I have no need to buy their hardware. What does Sony do? Knack. Prffft. If that's the best they got for unique and original ideas, they are worthless. "Not all countries in Europe are accommodated, with the typically impersonal "Other" in place for those in countries such as Russia." The bigger issue for me seems to be in releasing what feels like an unfinished game in the case of tennis, the controls are temperamental (you can move your hand to forehand and the character stays backhand, or you can see your character moving for a shot that should be played forehand only to see your character stop in a position that can only be played) why are we still limited to best of 5 offline? The online is rubbish, its unplayable if you get a laggy game and why can you only play a tie breaker? Why cant you have a full game or at least the games available in offline play, isn't that the point of tennis? Unless im missing something you cant see your individual ranking in your club or region, but i haven't looked too closely so i may have missed it. Bowling on the other hand looks better, but ive only played once so cant comment too much. Can't believe anyone would pay to play this crap on the Wii U anyway, I played Wii Sports on the original Wii for about a week at the most when I first got the console and the novelty wore off very quick indeed, so much so that I never played the game again, only reason I held onto the game was because it was part of a bundle, otherwise I would have sold it. Point being, why Nintendo are wasting time on this sort of thing boggles the mind, this effort would be better spent on improving the awful Wii U VC, for f**k sake Nintendo when will you understand and listen to the many Nintendo fans "begging" for you to put GameCube games on the VC? why don't you get it? Personally I bought my Wii U for games like Bayonetta 2 & Mario Kart 8 and was really positive/optimistic about GameCube being on the Wii U VC by now, but, nope! I'm so sick of Nintendo making mistake after mistake with nearly every decision they make, WAKE UP! Nintendo, before it's to late, PLEASE! @SanderEvers Don't be silly mate, of course not, I'm not saying that at all, I'm just saying that Nintendo just seem to have totally lost the plot to me of late, the Wii U continues to struggle and Nintendo do nothing worthwhile to change things around. If your happy with Wii Sports on Wii U then fair enough and good for you, but, I personally was expecting far better things when buying a Wii U. If I wanted to play Wii Sports, then I'd play it on the original Wii, but I don't, I just want Nintendo to listen to the majority of Nintendo fans who want GameCube on the Wii U VC, and listen to Nintendo fans who expect better things to play on their Wii U than Wii Sports. @CliffordB I love your logic. "I didn't buy the Wii U to play Wii games... I bought it to play GAMECUBE games!" @MetroidFan2002 Considering most Wii and DS games didn't have region locked online.... noooope. @SanderEvers 220 Online Servers is a record in online support for any game ever done in the world, and this is a game in Beta, IN BETA! Really all the people giving Nintendo Life the rifghts in this article should read what i said above, because i followed the Nintendo Japanese news on Eurogamer and GoNintendo. I followed sites with a will to translate what Nintendo Japan has to say. Spread the word man, maybe this will mean a good change for NL. Does this game even play any better than wii sports / resort? Seeing as i'm assuming you use wiimotes for it? If not then, whats the selling point? I agree with Thomas. This is another example that helps to show how Nintendo need to up their online game. There is better things on Wii U than Wii Sports, and you may not like it, but that doesn't mean they shouldn't release it. Given a lot of the development was done by Namco it's hardly taking resource away from MK8 so what's the problem? Asking too much for free online? You mean worldwide competition that Nintendo have managed on other games with free online, or Sony managed on PS3 for years and still do with Vita? Riiiiiiiight. It being free is the problem. @CliffordB - I think Nintendo are losing the plot slowly too. They seem to be more and more out of touch with gamers and like you say they have massive Gamecube assets they're sitting on and doing nothing with. Why not? Instead we are being drip fed the same VC releases we had on the Wii. Why are there not dedicated teams being hired to get the GC library up on Wii U? Who knows but over time I find myself more and more distant to my favourite gaming company. Don't be ridiculous. They don't want it to fail. They're reporting news, not censoring it to help a company that often seems incompetent. Also I couldn't care less if it's in Beta. They want money for it so it should work. This is just the latest example of complete mismanagement by Nintendo. Regional online completely misses the point of online, and for that, they've lost a sale of Wii Sports Club from me! Bowling seems a bit more accurate and good fun but Tennis is still all over the place. Not impressed at all with the latter. @electrolite77 I enjoyed the bowling on the original the most, so intrigued to try out the improvements. My WiiU purchase will be in the New Year though, as i have to save for moving house before then. Bah Humbug! anyway, does it really matter who you play online? like seriously be happy theres someone there to play against, does it really matter what part of the world they come from? @electrolite77 The online is free, read my post above (the long one, not the short one) because this article does not speak the truth, i tell ya. You pay it once and you play it online and local all you want. It's just that you have to pay the sports singularly. This article is the doom of Nintendo, because it's based on so many wrong things you don't even know. Really, read and make others read my long post, number 102#, because all the news there are from Nintendo Japan witch Nintendo Life didn't bother to translate. The game works, and it's in beta, has 220 dedicated servers and it's gonna recieve free updates, monthly, on the existing games until all games are out. Worldiwide is already scheduled to be there when all 5 sports are out and the final update for the game will be done closing the 1year trial beta and opening the release date. Where is this on this site? Someone should inform Nintendo about Rock,Paper, Shotgun's famous "No Oceans" campaign. Granted it was only about release dates, but it can be applied here as well regarding online. Stop making artificial walls to stop people enjoying games at the same time globally. Where is this information on the Nintendo UK site? On the eshop? On the email Nintendo UK sent out imploring us to buy Wii Sports Club? Why was it not on the western Wii Sports Club Direct? The problem with communication lies with the company who it turns out want us to pay £1.99 a day or £8.99 for a beta test without mentioning that it's a beta test. I'm even less likely to buy it now. Not only is the online restricted but it's restricted because it's a customer-funded beta test. Oh and 220 servers is good, but it doesn't suddenly mean Nintendo are putting a great effort into online play. They have a lot more problems to fix. "a negative spin put on so many articles here, I can see some of these 'journalists' sitting back giggling as the anti-Nintendo tide rises." @oreqano If it is done right your character should never lag. I am fearing for the future of the Nintendo game players that live in territories outside any of Nintendo's official jurisdictions, which should include myself. I think your kind of missing my point, what I'm saying is that loads of Nintendo fans have been crying out for GameCube on the Wii U VC, I know this feature was never promised by Nintendo, but, most thought it would be a total no brainer for Nintendo to do, sadly they can't see this for some unknown reason. What I'm saying is that Nintendo should try harder on this sort of thing rather than the likes of Wii Sports, I mean surely nine out of every ten Nintendo fans would rather have the likes of Luigi's Mansion, Paper Mario, Star Fox Adventures, Super Mario Sunshine & Wario World etc. than Wii Sports any day of the week, no???? It's worth remembering that one of if not the highest overall ranked Wii U games currently on the system is a certain GameCube re-make, I'm of course talking about Wind Waker, that says a lot for me. GameCube games on the Wii VC would be so popular believe me, sadly Nintendo are to daft/slow to see this. @MadAussieBloke #128 ...Man that sounds sooooooo gross But I'll add you & we'll verse each other sometime, though it might not be until after Tuesday night, my next paycheck. I bought bowling though I'm not very good at it. How many fps games are on that list, or even just the broader category of "shooters", and how does that compare to all the games across the various other genres they published? I don't think you're giving Sony/Playstation the credit it's due. @Ragnopazzo Without going into all your other points,the fact that you're trying to defend Nintendo releasing what you've said is just a trial beta (and if I understand you correctly,a 1 YEAR trial beta?) but still actually charging full price for it ,then slamming Nintendolife for not reporting it kinda makes your main point invalid.If they had actually reported this news how can it in anyway be seen as positive?If its true what you say then it deserves a feature as much as this one as to me that seems scandalous! How many matches of Tennis did you play? I played a bunch and maybe 3 matches were laggy but I believe it's due to other people's bad connections. I don't think that's an issue with the game itself. I feel bad for the people who live on the west coast. Most of the continent will be asleep when they want to play. It is Nintendo's fault if it's left to any website to translate news like that. Are Western audiences not worthy of such information? Because I can guarantee my money is just as welcome in Nintendo's account as the Yen. To criticise any website for Nintendo's lack of communication misses the real culprit. Honestly Nintendo misses the mark with online. Microsoft and Sony have always had a clear lead in online services. That's some pretty heavy handed censorship, NL. And for what? Did I use profanity? Insult someone? No, just hit a nerve, that's all. You can erase our words, but if it's obvious to us, it's obvious to the non-vocal majority, as well. @8BitSamurai lol, LBP, really? How about you compare Sony's two terrible kart racers with Mario kart while you are at it. @Kirk yet everything you listed had crap for development budgets. Sony doesn't take those titles seriously, they shovel all of their dollars into killzone, god of war, uncharted. The lack of budgets show in the lack of quality in their alternative genres. They toss a few million to make a less violent game and call it a day, while pouring tens of millions into killzone development. That's not taking alternative games seriously, and it really shows in the quality of the outcome of the title and the void and dearth of creativity these titles need to go from "meh" to fantastic. I have a ps3 and there is absolutely nothing interesting on the system for me, first party wise. Ratchet has always been a terrible franchise, their kart racers are crap, LBP is fun for about a week, perfect for renting, but not worth purchasing. Their developers just aren't creative enough to warrant a purchase of their console to play their first party offerings unless you like the games they toss the massive development budgets to. My PC does third party games far better, so 3rd party games are a moot point. I can't recall the last first party ps3 game I purchased. It's been my blu ray player since 2010 and that's about it. Wake me up when Sony releases their Mario Galaxy killer or even a Zelda killer, or a Smash killer, Xenoblade killer, or even a Fire Emblem caliber game. If Sony was as creative as you are trying to make them out to be, then why does NONE of their alternative, non-violent games hold a candle to Nintendo's franchises? None of their games are original ideas, they are gameplay ideas ripped off of other series by other publishers... LBP was their shoddy attempt at a 2d platformer, mod nation racers/LBP karting was their terrible attempts at a Mario Kart clone, sony all start battle royal(or whatever that steaming pile of dog poo was called) was their terrible attempt at copying smash, uncharted is their copy cat of every other 3rd person shooters we played a million times from 3rd party developers, killzone is a COD clone.. They haven't had an original idea since, well ever. My statement still stands that they have Zero creativity in coming up with original gameplay mechanics. Everything they have is ripped off from somewhere else or they used the tired, lazy shooting mechanic. Sony has "decent" game sures, but nothing earth shattering on the creativity front. I played far more Wii or PC games than I did PS3 games last gen. My final analysis of last gen, the ps360 was a complete waste of money. I bought into the hype in 2007 and the system was a complete let down save for a few 3rd party exclusives. This goes back to how lackluster their first party studios are for creating anything original and unique... Sony dumps the vast majority of their development budgets into games that sell big on their system, which is the dudebro market (and I'm sorry there is absolutely nothing unique in the games of this genre). I'm not knocking it if that's what you like, but I'm bored to tears with it. It's pretty clear where their priorities are when it comes investing in development. If they would give their alternative genres at least an average budget, maybe they could compete with the caliber of Nintendo, but they would never try, they rather half buttocks it and phone it in, and use 90% of their budgets on yet another game that relies solely on shooting mechanics. Sony doesn't want gamers like me as a customer, they want the dudebro market. Complain, whine, complain, that's all I'm hearing from you guys. They could of waited another 6 months to release Wii Sports Club with all the games intact but instead they gave us 2 of the best games imo right before the holidays to hold us off. And it might not be worldwide online but at least it's online and competing against rival states gives it an American/college sports feel like Iwata said. When I win against a guy from Michigan, it feels that much better because Michigan and Ohio have always been bitter rivals when it comes to college sports. Jeez, Nintendo Life used to be a good Nintendo site to go to. 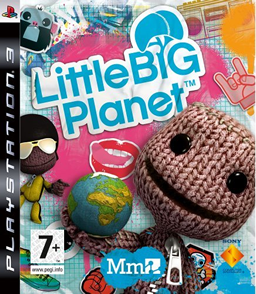 I really don't think you've played much of LittleBigPlanet if you think LittleBigPlanet is a generic attempt at a 2D platformer, no offense. 5 years later, I still don't think there's another 2D platformer like it. ModNation Racers was also hardly a Mario Kart rip-off, as it's heavy emphasis on user-generated content was more than enough to give it some freshness in a sea of uninspired kart racers. If you want some more creative Sony games, look no further than Sly Cooper or Ratchet and Clank (You don't have to like Ratchet, but you could at least give a reason or two why you think it's so terrible). And if we want to talk about Sony ripping off Nintendo franchises further, I would also like to point out Megami Tensei was doing Pokemon long before Pokemon was a thing, and Sonic Xtreme and Ratchet and Clank were doing space and gravity themed platforming a good while before Mario. Pretty much every game company has taken inspiration from other games. Not to mention, Nintendo did not launch any major new IP's comparable to Uncharted, LittleBigPlanet, or even Infamous on the Wii. I don't think you have to adore every Sony franchise, or even any of them, and I'm not saying Sony has been 100% creative and innovative in all of their games, but I would have to say that Sony most certainly does have creative developers, and while I'm not saying Nintendo is unoriginal, they aren't perfect in this category either (No game developer really is, that I'm aware of). Another new Sony IP, Tearaway, hardly unoriginal. @OorWullie Listen, all over the world you pay for beta, just the most recent ones like State of Decay, Arma 3 and Battlefield 4 where paid beta or with the luck of having someone you paid a bunch of betas doing beta keys giveaways, so don't act like online servers cost money. Here at least, you don't pay just an online mode for that sport but you get also the offline mode and the classic Wii Sports training mode, but you don't know that because this site didn't talk about this. They took 10 hours to analise the game, here in europe was out the 7th 8am (look at the date of this talking point), so this was rushed just to monetize on the argument and i don't like this, because it goes against Nintendo Life policy of accurate news. It's not a failure on Nintendo if some news remain in Japan, it's us that we need to be interested in them, Nintendo already does multiple Nintendo Directs all the time, we are the consumers and fan we follow a company, Nintendo isn't the perfect neighbour that everybody wants them to be, they can't follow us all the time, they listen to us from time to time but they can't slow their projects for that, and that's fine. If you want a game with more than 220CLUBs, witch means more than 220 servers (that is the biggest infrascruture of online gaming ever done in any platform for one single game) to be free you just want Nintendo to lose big money and you don't want that. Next time inform yourself, being misinformed doesn't make people right just because, GoNintendo and Eurogamer where informed pretty well on this, so it just requires doing your job 100%. @MadAussieBloke Does the game speed up the higher your skill level? Seems like it did in the original Wii Sports Tennis. @pixelman I have only been playing online so I haven't checked out the single player yet. @8BitSamurai Its not whether i like sony franchises or not, its the quality of the titles that are shoddy. Sony drops hardly any money into their alternative titles and it shows. Ratchet is a terrible franchise, it feels cheap. I have played indie games that were more creative. Its like Sony doesn't care about these type of games and the reason why they don't because their user base doesn't. 95% of PS3 owners play the shooters almost exclusively. Hence why Sony dumps all of their game development dollars chasing this segment, while platformers or more family friendly titles look and feel cheap.... which its an after thought to Sony, always has been and always will be. I get it you love Sony. But sorry their quality in the genres I play is extremely lackluster. Not a single game you listed even comes close to any of Nintendo's franchises. Nintendo seems to care more about the quality and polish than just to check a box like sony does. "oh we need something for kids, ok, lets create Modnation racers and LBP kart racing, and give them a 3 million dollar operating budget.... killzone? Oh lets give that one a 90 million dollar operating budget." The amount of money a publisher spends on creating a title really does show through, hence why Sony's stable of alternative genres and games feel like cheap imitations and knock offs. @Ragnopazzo Any chance you could share a link to the GoNintendo & Eurogamer articles where they talk about the Wii Sports Club details you can only find on Nintendo Japan's website? I tried searching both websites & couldn't find any articles like that. Okay, first of all, most Sony franchises are held in high esteem for their quality. If you want to disagree, go ahead, but "the quality of the titles are shoddy" is pretty bare bones, if I have to say so myself. As for me, the original Ratchet and Clank is one of my all-time favorite platformers, and it actually feels very fresh and unique, to me, even today. Saying that you've played more creative indie games is not indicative of much of anything, considering indie games have been well known recently for taking unique directions. And as for "95% of PlayStation gamers play shooters almost exclusively", that's just wrong, and is basically exactly the same thing as "95% of Nintendo gamers play childish platformers and gimmicky shovelware almost exclusively". It's just not true. On the contrary, Sony's top selling franchise is Gran Turismo, a realistic racing game, followed by Ratchet & Clank, a platformer, which you claim Sony does not give any attention to (Considering this is their second top-selling franchise, this seems highly suspect, TBQH). Furthermore, if you want to cite development budgets, that's fine and all, but you need some sort of valid sources.